USH 53 Traffic Analysis - TADI - Traffic Analysis & Design, INC. USH 53 Traffic Analysis - TADI - Traffic Analysis & Design, INC. 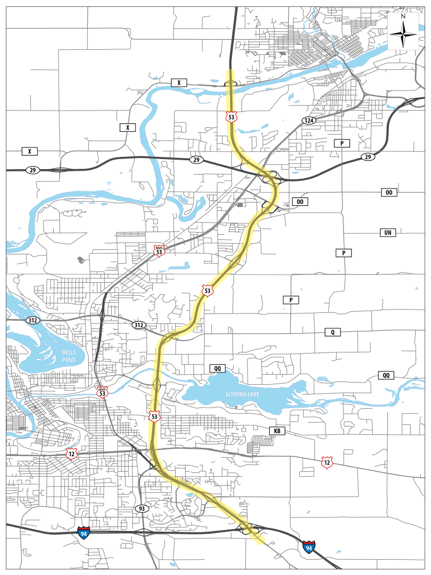 The USH 53 data collection and traffic analysis project consists of a 14-mile corridor along USH 53 from IH-94 in Eau Claire to CTH X in Chippewa Falls, Wisconsin. 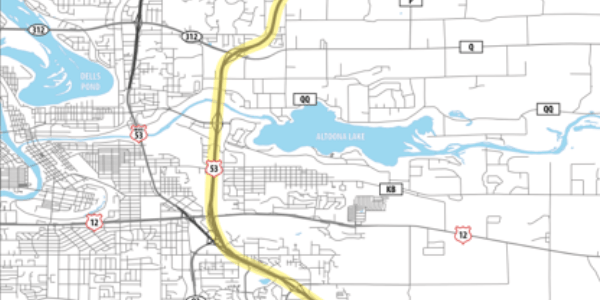 This project is a preliminary traffic analysis, not yet an environmental study, to identify if and when future improvements are expected along USH 53. TADI collected traffic information along the USH 53 corridor, such as volumes, vehicle classifications and speeds, at the various locations. The data was compiled and used to complete an existing and future year freeway analysis using the 2010 Highway Capacity Manual procedure and carried it out through 2010 Highway Capacity Software (2010 HCS).